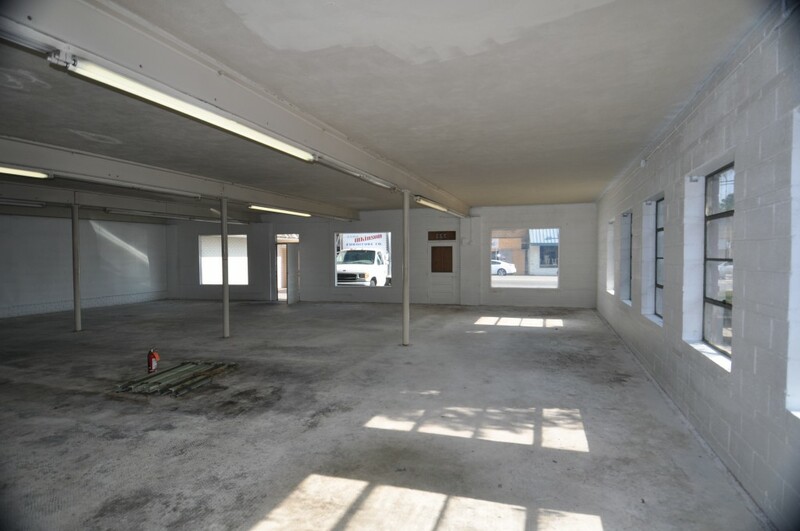 Interior of the future coworking space at 726 Haywood Road. We’re excited to be working on a new project in our own neighborhood of West Asheville. 726 Haywood Road, formerly part of the Luke Atkinson Furniture Store, is destined to be The Hub AVL Coworking. Coworking is becoming a popular means for self-employed individuals or those working for different employers to share equipment, resources, ideas and knowledge. These types of working environments often benefit coworkers by providing an affordable alternative to renting an entire office, removing the distractions from a home office or coffee shop, and building community. The Hands of Sean Perry Co. is working on the upfit of the space, and we’re pleased to help bring this community space to our neighborhood. AVL Coworking hopes to have the 726 Haywood location up-and-running by early May. AVL Coworking will offer a variety of options including cafe memberships, work-space at communal tables, or private desks. Memberships will include free coffee and tea, high speed fiber internet, access to printing/copy/fax, parking, and some memberships will offer 24/7 access to the building.